We've Been There Before: Lollapalooza lineup revealed....and....there's always next year. Eminem is a household name at this point, so I can't knock this too hard even if I'm not a huge fan. Eminem is a living legend. Our kids will ask us if we've ever seen Eminem perform years from now. The problem is there isn't a band playing opposite of him to make this okay. The large majority of the 'normal' Lolla crowd doesn't feel strongly about Eminem in order for him to be opposite a 'non-headliner headliner'. As I mentioned in my rumors review post how I didn't feel the Arctic Monkeys deserved a headlining spot. They're just not big enough yet. They don't have the hits or the live track record to hold this spot. They're still an opening band in my mind. How many people are going to actually show up to see them versus Eminem? They might be playing to empty water bottles and plastic bags. Ok, I get it. 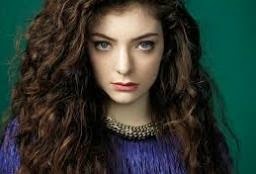 Lorde was one of the biggest names in new music last year with 'Royals' being played everywhere and it winning tons of Grammys. However, why don't you just book Miley Cyrus, Lolla? Sure she's got a great voice and ONE song, but what is she going to do for the rest of the 50 minute set? Lykke Li, Portugal. The Man, Interpol and.....I'm looking now....Seriously, I think that's it. Whooooaaa! Who didn't see this coming? I thought Lolla was bigger than signing an act that is going to be at EVERY other festival this summer. This act showed me that Bonnaroo might have surpassed Lolla as the hippest, most creative festival. Bonnaroo procured a lineup without this festival whore and still is 10 times better. 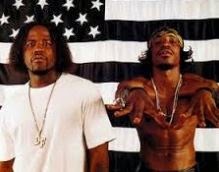 Outkast just needs to leave me alone. Who is Calvin Harris? I'm serious. Who is Calvin Harris? I'm 30 years old, but did I get super old in a year? What the eff. Foster the People, Spoon, Grouplove, Fitz and the Tantrums, Jenny Lewis, The Temper Trap, Kate Nash and that's about it. I'm sorry, I just don't see any other day acts that are legitimate Lolla acts. Even these bands are a stretch. If I had to pick one day to go to, it'd probably be Sunday and mainly because of Kings of Leon and one other band. Kings of Leon are rock stars. I know people call them soft and 'dude rock', but they do rock and kill it live. They are the only band that I can actually call Lolla-worthy. I might be an a-hole, but I still don't get Skrillex. Didn't we go through this with Fatboy Slim or Moby a few years ago? Why do we have to act like some dude who is a DJ is a megastar and deserves to be on the cover of Rolling Stone? I get if you like his music, but what can this dude bring to the table live? He's not even a performer, he's a machine operator. Maybe he'll play my local UAW in a couple years when he fizzles out like every other 'major' DJ has before him. Cage the Elephant, Young the Giant, Trombone Shorty....and again, that's a wrap. Wow. This hurts. I truly wanted to force myself to think this lineup was worthy of going. However, thanks to this crappy lineup, the tradition I have with my friends has been ruined or at least paused. I don't know if it's just Lolla or the whole festival season that has sucked this year, but I feel like they could've tried a bit harder. Bonnaroo, Forecastle and Governor's Ball all have significantly better lineups and headliners than Lolla this year, with two of those spending less and even having Outkast. Has the summer music festival evolved from 'I have to be there' to the 'I have to be there for this lineup' festival? I think it should, but why can't I have both? You scarred me Lolla. Leave me alone. Hey, I thought most of your assessments were pretty spot on, but I do have to disagree with you on a few, first off Arctic Monkeys are definitely at headlining level. Their newest album has been really popular in the states and of course they've been massive for years in the UK. And as far as them competing with Eminem, I think that everybody who doesn't care about seeing Eminem will go see them, and that will be quite a few people. I go to an American High School where lots of people go to Lollapalooza every year and Arctic Monkeys are really popular with the kids. After their newest album they are massive here in the states. You mentioned in your other article how you had seen Arctic Monkeys opening for The Black Keys, I saw a show on that tour as well and Arctic Monkeys were not amazing no, but in 2013 they really came out of their shell, with performances like Glastonbury and Austin City Limits, and they have just been getting better and better with large shows. Alex turner is now a true performer and it will be a really great show, that will also be packed with people. 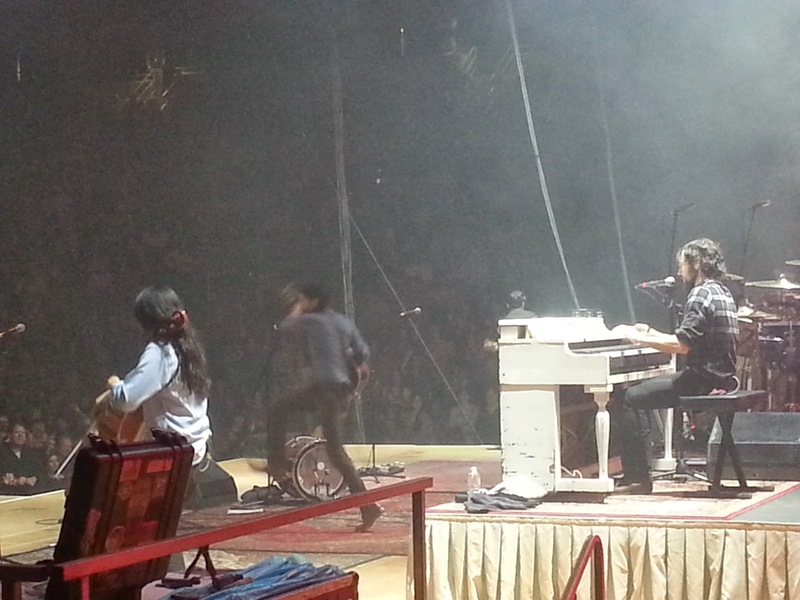 The second act I need to disagree with you on is The Avett Brothers. They should definitely not have such a high billing. That will be a show with a few scattered people and then maybe 300 or 400 people at the front. They just do not have that big of a following and especially not with the very young,very in the know, dance-leaning kids who attend Lollapalooza. They will never be headliners, sorry but they just won't. Also, I've seen them twice and they were boring both times. I saw Arctic Monkeys 4 times just last year and they were amazing. Anyways, pretty good article, keep up the good work! Agree with almost everything here but you gotta show some more respect for the Arctic Monkeys. "AM" is an incredible album. Their popularity hasn't quite hit the states on the same level as the UK yet, but it should. Give these guys a chance. They're headliners and will put on the best performance of lolla!